Use approximately 300mg, 1-2 times daily with coffee. The optimal proportion of theanine to caffeine is 2:1. The dose of 300 mg of theanine and 150 mg of caffeine seems reasonable. This corresponds with two strong espressos or one coffee brewed with alternative methods which allow for achieving the strongest extracts. To improve cognitive skills, e.g. during learning, theanine should be applied 45 minutes before you start your activity. People with low blood pressure have to be particularly careful during theanine supplementation. 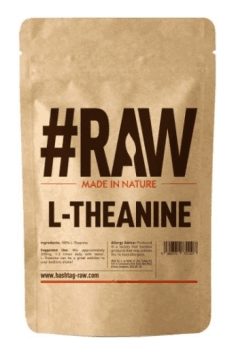 L-theanine shows also synergy of action with blood pressure reducing drugs and can intensify their action.